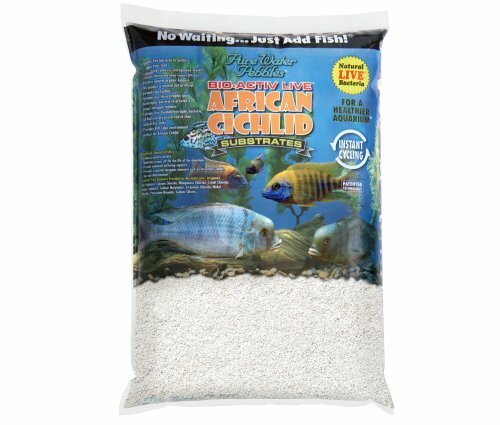 Bio-Activ Live Natural White Live Cichlid Sand 20LBS (Grain size: 1.2 -1.7mm)Provides Rift Lake environment perfect for African Cichlid. Use them in your aquariums and ponds to make the floor bottom look great. It provides living space for beneficial microbes and anchoring for plants. It also helps with the filtering process of the water in your aquarium tank or pond by increasing the surface area available for nitrifying bacteria to colonize. Manufacturer: WORLD WIDE IMPORTS ENT., INC. Publisher: WORLD WIDE IMPORTS ENT., INC. Studio: WORLD WIDE IMPORTS ENT., INC. If you have any questions about this product by African Cichlid Substrates, contact us by completing and submitting the form below. If you are looking for a specif part number, please include it with your message.